"Radiant Office" takes over MBC's Wednesday & Thursday 22:00 time slot previously occupied by "Missing Nine" and followed by "Ruler: Master of the Mask" on May 10, 2017. First day of filming for Ko Ah-Sung took place February 1, 2017.
ain Sep 29 2018 6:08 am I like this drama.This drama tell about work. KD Nov 11 2017 5:55 am This is one of the best drama I've watch so far. The story is great and the actors are really good in their roles, I love how Ha Seok Jin acts his role truly on point and the lead actress Ko Ah Sung really deserves an award in this drama together with the leading man. Radiant Office has this great story which in fact in reality especially in finding or having a job matches the realistic view of life and how you should take care of yourself as because health is wealth. This really deserves an award I like all the actors in this show. Just amazing drama and no matter what you are having in life always continue having this positive outlook to it!! Mary Jane Aug 15 2017 4:56 pm I just finished watching it. The film is amazing, worth to watch.. I love the characters and I am thinking of wacthing it again and again. However.. I think it needs to have a continuation cause i think there a cliffhanger there.. Like how does Mr. Seo become the Chief Executive, Is He the brother of Dr. Seo? Things like that. sunbeam Jun 16 2017 2:42 am When Ki-Taek and Kang-Ho had the black sun glasses on when the girls beat them up, I cracked up -- they reminded me of the "Blues Brothers." These 2 guys are so funny. Star Wars Fan Jun 04 2017 1:34 am Kim Dong-Wook is a nice looking man and has a beautiful smile. I just love his smile. jinjoo May 26 2017 11:04 pm i quite enjoyed this drama, eun ho won stands for her right & i admire her for defending herself in spite of risks involved in a workplace! i can relate to her character bc nobody should tolerate some kind of nonsense when you think you're doing your job! the bonding and close friendship of the three newbies have been remarkable & i find Do ki taek one of the kindest of the three! 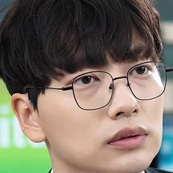 i think i'm gonna look for this actor's previous projects, he may not be the typical handsome k actor but he's got that special charisma, i can't explain it :) also admire Seo woo jin's character bc he is fair & when he thinks his superior is wrong, he stood by it no matter what & he also is fair with his subordinates! this is a cute drama & i luv the happy ending! Shosh May 26 2017 1:10 pm I thoroughly enjoyed this, especially the relationships among the three newbies. I appreciated the fact that the angsty moments were not long and protracted. Naf May 24 2017 11:14 pm I really curious about the relation between seo woo Jin and dr. seo. Are they brothers? Because they have same family name, Seo. Any one want to explain about this to me? yk May 23 2017 6:19 am Welp... Just finished the show. I liked it. Esp the characters and their unique behavior. EunJangDo is defo a squad goals. But I will be lying if I say this show has no boring/dull scenes. It has and its mostly Woojin and Howon romantic scenes. I prefer the Jina x Kitaek pairing. Actors did mazing job. Still enjoyable and fun, I will give 8/10. derpio May 11 2017 10:08 am currently at ep12 and im dying, this drama is so nice, it's office-themed, yet it's so new. Even though i think it can do without a love line between Howon and Woojin. What i love most about this drama is the trio Eun Jang Do, this is a very legendary trio, and how they met is really really ideal in my opinion, a not so beautiful ideal, but that is why it's even more intriguing. They said, when you meet someone when u r at ur bottom worst and so is that person, it's likely that you will reach higher peaks with that person too, this is exactly the case. A family weekend drama, i would say. songareum May 09 2017 12:06 am I'm currently watching this drama. It is amazing and I recommend this. I love the story, the script and the casts. Sheila May 07 2017 6:04 pm Season 2 please. ? yullfany May 07 2017 12:19 am Yes, we need season 2 please.. Love this drama ?? RSK May 06 2017 10:54 pm We need Season 2, pleaasee!! duchess May 06 2017 12:09 am Haha! This drama is love!!! Who says this drama doesnt have much romance??! Gosh,every scene between the two leads would put a smile on your face and will make you fall inlove.Simple yet sweet! Jhem May 05 2017 8:38 pm Another project for Ha Seok-Jin & Ko Ah-Sung together please! !i really love their chemistry?❤? Lime May 05 2017 10:24 am I personally love this drama. I can say that this is one of the best. This must be a cliche in every angle and the story and the romance build up is quite slow, but the drama is a reflection of the reality. I applauded the contributor of this drama for making it realistic and relatable to all. It was also comedic in its own way. I would much recommend this to all my friends. omona May 05 2017 10:08 am Nice drama to watch on a relaxing Sunday afternoon. It's chill and light-hearted. I'm really gonna miss this office. I loved the relationship between Ki-Taek and Ji-Na and the interactions between Kang-Ho and Ms Cho. I'm now craving for these type of relaxing dramas!!! Also, I'm happy that the main plots didn't heavily focus on the romance, I was getting sick of all these emotionless loved-dovey dramas, lately! aster May 05 2017 9:09 am actually a great drama with great cast.. but i dont understand, is Seo Woo Jin and Seo Hyun are brother?? they have different father. Cindy May 05 2017 1:17 am Next time when I watch a drama I am not going to be fool by the ratings. This is a great drama and highly recommended. Going to miss it. All the cast are great. Seol May 04 2017 9:50 pm For me, a great drama. kumari May 04 2017 1:18 pm I think this drama is so good so far, it ended nicely. I like the story, even though the story settings about office and tells about relationships between boss and employees it has a slight romance but still sweet. I like all the cast their doing so well. Christine May 04 2017 1:14 pm Hm. This drama was a failure. Im disappointed Ha Seok Jin wasted his talents on this production. Also really glad there was no romance build up. LoneGunMan May 03 2017 11:07 am The funniest to me is still Chief Seo's fear of cats and Eun Ho-Won teasing him about it. Eva Atkinson May 03 2017 9:31 am The last 2 episodes are imminent,today and tomorrow. I shall be sorry to see the end of this highly entertaining drama. Sue May 03 2017 6:01 am 2 ? excellent show. Handsome & talented actors. Pretty & good actress too. Keep up the good work. Pikka May 01 2017 9:01 am I reaaaly love this drama. this months i getting so many trouble so i get some headache and heartache ??? but this drama always success to cheer me up and makes me laugh. 감사합니다 ??? ahjussi fighting! Hawoon fighting! hidayah Apr 30 2017 10:05 pm at first, I watched and stopped it because it was boring. but when I have no drama to watch anymore, I began to watch it again and I found it more interesting, romantic, and exciting each episode. now I am addicted with this drama. it will be finished in a few weeks, it makes me sad. very recommended! Yna Apr 28 2017 1:04 am Many many Thumbs Up for main actress !!! Seol Apr 27 2017 9:06 pm Last 2 eps...& still it's exciting. this drama is highly recommended. Cindy Apr 27 2017 10:58 am This drama is daebak and first time watching Ko Ah Sung drama and she is good. Ha Seok Jin acting is also good and also handsome and fell in love with him after watching 1% of Something. He got great chemistry with Jeon So Min. Gigi Apr 27 2017 9:34 am Thank you for this drama. It's has moments where I am laughing out load. It's sad to see how office the politics always have a scapegoat, usually people of good intentions and pure heart. Love the characters. Enjoyable drama. donahmeee Apr 26 2017 8:25 am this is my ongoing dramalist aside from my secret romance .. i really enjoyed watching this drama eventhough the ratings was not too good.. fighting radiant office.. !!! im just curious what will happen in remaining 4 eps. its too short for ho won and woo jin's love story.. anyways. looking forward for tomorrow's ep..
Sinjie Apr 19 2017 11:10 am This drama get me hooked, maybe now I'm working and there are many issues related to my work situations especially in marketing sites. Sales manager is very means as same as Mr Park always pushing me as an intern to bet the sales targets. The ways he talks is exactly like my sales manager too. Wish I can learn 1 or 2 tips to overcome this type of people. Eugene Apr 14 2017 7:27 pm This is a must watch drama. I love both the cast and the story line. I learn a lot through this drama. I hope it will get higher ratings in the next ep. There is no trailer for the next episode again. I am curious how she will react to the doctor. Just five more days until ep 12. Radiant Office! Fighting!!! 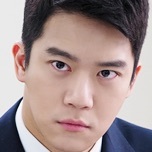 Ha Seok Jin oppa jjang! Narn Apr 14 2017 9:29 am Superb! This is one of the best so far. I am damn frustrated everytime I finished the two episodes realeased every week. A must watch indeed! The actors are great!!! pujiedewi Apr 13 2017 6:44 pm I dont care about rating , this drama very good and recomended , so funny , sad , ha seok jin ? Anna Apr 12 2017 10:19 pm Very good drama! you guys are missing out. Superb actress and great storyline. LoneGunMan Apr 12 2017 6:14 pm Korean melodrama will always go to the tear jerker plot. Down and out hero/heroine. The Seos are brothers, and Ko Ah-Sung will help them come to term with each other and their father. Smarty Apr 12 2017 9:08 am Why the next episode takes too long to air? This is highly recommended. I love the story also the casts are great. I dont know why korean rates it low i dont even know how they see it. This is really awesome. Can't wait for the nexr episode. Zelia Apr 08 2017 8:51 pm this drama was so daebak! I put this drama on my favorite list srsly.. I love the character of ko ah sung her motivation and perceverance through her job I even cry for her everytime she encouraging herself when others don't. After i watch the latest eps (im on ep.8) i reeeally cant wait to watch because this drama is interesting and it keeps you want to watch the next eps. and about the character of ha seok jin the handsome jerk who only wants to be fair in everything.. Haha after this i want to watch the other drama of seok jin oppa! sandra Apr 08 2017 10:26 am this is so great.just strted wtchng it. i regret that i had ignored it bfore. Sai Apr 07 2017 10:14 pm It's not just a Kdrama for me. There are lessons that we can learn from it. I relate the life of Ho Won too. Keep it up. Goodluck and God bless. Seol Apr 07 2017 6:55 pm I love this drama. When I am watching it, I also think about my future. Haha It's realistic, funny, "kakakilig" and great. iamgumiho Apr 07 2017 9:31 am I'm so happy that they finallyy got good rating! This is a really good drama and omg ha seok jin is so freaking hot. So he is the one in something about 1%? I'm gonna watch it later. I'm still hoping ho won is not sick. But am i the only one who notices that ho won has split personality? Like at one point she is sad then she is dancing. The other time she was in a good mood then she scolded other people. Maybe thats it? But i dont think it has anything to do with serious ilness? Anw i have to wait for almost a week for the next episode ? Danah Apr 06 2017 8:55 pm How come?? I was so shocked about the rating? this drama was so daebak! I put this drama on my favorite list srsly.. I love the character of ko ah sung her motivation and perceverance through her job I even cry for her everytime she encouraging herself when others don't. After i watch the latest eps (im on ep.7) i reeeally cant wait to watch because this drama is interesting and it keeps you want to watch the next eps. and about the character of ha seok jin the handsome jerk who only wants to be fair in everything.. Haha after this i want to watch the other drama of seok jin oppa! chinggu Apr 06 2017 8:28 am Wow!! Amazing. Now rating 7.7 seoul. Nationwide 7.4 Hihi i was so happy. I love this drama. Eva Gali Apr 06 2017 2:41 am I'm also wondering why this drama is underrated. The acting is superb and the storyline is not only unique in Korea but could happen elsewhere. kora Apr 05 2017 10:22 am Sorry I posted the same thing twice because I thought it did not get posted the first time. Anna Apr 05 2017 10:21 am This drama is actually really awesome! Kora Apr 05 2017 8:53 am I am certain she has stomach cancer. There were little hints a long the way such as her stomach pain. But, I feel sad because its a very aggressive type of cancer and very difficult to treat. I feel bad because looks like MR.Seo is falling for her. I think maybe he will try to keep it a secret from her, but she'll hear the doxtors chatting again. smart Apr 04 2017 7:56 am Why its too long to air the next episode. I love this Kdrama..Korean don't know how to rate good drama. Don't focus on the beauty of the actors and actresses. Focus on how they deliver the story. Their acting is great and the story is great. The actors and actresses are beautiful. WHy why why. Your taste is different from our taste. Love this please next episode. amita Apr 04 2017 4:13 am Why NR NR NR ? Korean taste and our taste are totally different ? so many of my friends like this drama. gumiho98 Apr 01 2017 4:53 pm I dont know what kind of feeling is this but i feel so sad watching thjs drama. Part of me is hoping she isnt the one who is terminally ill but another part of me is hoping she is (bcs i cant wait more of HW and SJ scenes. SJ might become more romantic & caring when she is sick). This remind me of Misaeng and this is a really good drama and omg ha seok jin is sooooooo handsomeeeee. Fighting!! ?? myxblush Mar 31 2017 11:29 pm Omg! It started out slow but now it's getting so good!!! KAS and HSJ looks so good together!! Plus, he's so hot and handsome!! Jeff Mar 31 2017 3:19 pm I'm sure the one who is sick is Do Ki Taek. Im shocked that this drama has low ratings, its a nice story and Ko Ah-Sung is such a great actress. Gabe Liu Mar 31 2017 6:32 am Kim Dongwoo and Ha Sukjin in one drama? sold! Kimchay Mar 31 2017 6:07 am So funny and close to office life. Can't wait for the next episode. chrisan Mar 30 2017 4:24 pm I enjoy this drama. I'm excited to see another episode! I can't wait! Seo woo jin Eun ho won fighting! Denice Mar 30 2017 6:05 am i am loving this drama. it is interesting. sandra Mar 30 2017 1:02 am this is a great drama. people should watch it. colacola Mar 29 2017 2:46 pm actually this drama give so much good massage, don't give up, and act like you will die tomorrow so you can do your best. In this drama, eun hawon have a misunderstanding about her illness, i don't know if it's true or not, hope she's not really got illness. So, bcause of that, she act like there's no tomorrow for her, so she became brave and not wasting time, and do her best no matter what. 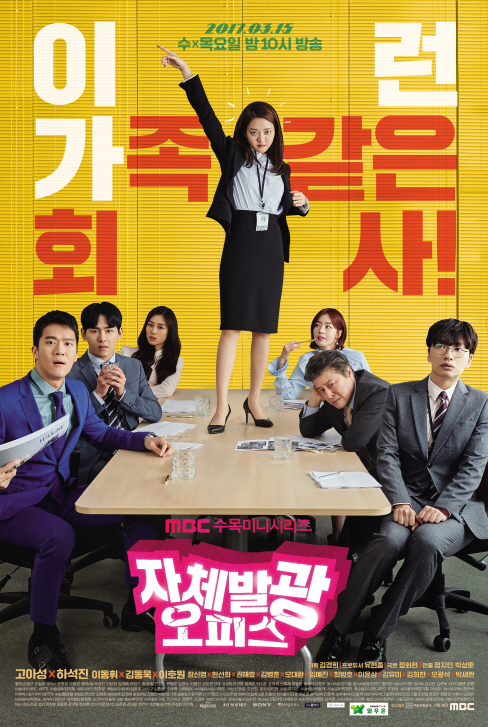 So, it's make sense she doesn't fear of anything.... Btw this drama actually sweet, i love how drama potray real situation in office and focus on how we handle the problem, but they put comedy and love story in it <3 good job!! ELIANA Mar 28 2017 1:42 pm The first epides were very good,but the other 2 are kind of boring. NGS Mar 27 2017 11:47 pm Heol~ People said this is failed drama just after 4 episode?????? ahahahhahaha.. You are so funny! I dont care about the rating. But, this drama is just amazing as it is! It is really relatable to daily life. So realistic! Eun Ho Won isnt stupid! If She is stupid, She will never listen to her own heart and brave enough to revealed her boss corruption act! I know She often make a mistake, but it to show us that everyone make a mistake and from it you can learn to be more good. I also meet some of people like Howon. Often make a mistake and make surround him/her frustated, but in the end they are a great people now. Maybe this drama isnt as daebak and booming like others drama that air at the same time. But, this also one of nice drama! Missing Nine too also a good drama! Even though I dont like the ending and upset about it, all episode of it were great! And that drama also NOT A FAILURE. Fighting Radiant Office and the cat and the crew! zelda Mar 27 2017 12:41 am This is turning out to be an excellent drama - entertaining and lightly humorous, but also exploring profound issues. Kudos to actors, director, writer and MBC! xixi Mar 26 2017 5:52 am Classic drama like all Ha seok Jin dramas . But love it ..
Ierizu Perona Mar 24 2017 7:31 pm i really love this drama <3 <3 the story is simple but awesome and make me curious, excited for next eps. Hwaiting!! Dhana Mar 22 2017 11:56 pm Becoz of ha won company is upside down . expose dirty office . sometimes it is needed . ha won fighting . I like it . kurage Mar 22 2017 3:43 pm I like the overall story of this drama, but the lead girl's stupidity and meekness are getting to my nerves. How can she be so stupid when she got good grades at school? I'll still try to continue watching it because of Ha Seok Jin and Kim Dong Wook, but I hope that the girl won't remain as stupid as before. Christine Mar 22 2017 12:33 pm What a waste of Ha Seok Jin's acting. I love all his past dramas but this one....yikes. LKB Mar 21 2017 10:29 pm I feel a bit bad saying this with only two episodes to go on, but I'm just anxious for this to be over so Ruler: Master of the Mask can truly thrill me (despite their young ages, both Yoo Seung Ho and Kim So Hyun have picked great projects, both light or short and fuller, deeper, sadder ones... they are phenomenal, truly)... I really liked Drinking Solo and even 1% of Something/Something About 1% with Ha Seok Jin as the lead, and Lee Dong Hwi in Reply 1988 and even Entourage was flat out amazing. Hoya was good as the little brother in Mask, too, so this shouldn't be a difficult show to perform, but the writing just seems all over the place and I don't get the director's decisions so far... it seems like they weren't just thrown into an office with no guidance but were thrown into a studio with little to no concept of just what the plot is supposed to be. It is, at best, meandering... my nice way to say they need to pull themselves together. The girl, so far, just feels like a nuisance on the screen. The whole internal dialogue/self-talk sort of cliche character they gave her isn't winning me over. With things like Misaeng out there, they should really truly be more thoughtful when making a show like this. I'm just saddened--Wednesdays and Thursdays still only have 2 shows worth my time (Chief Kim, which could have bombed and become a cliche-trope nightmare but is truly unique and kept itself away partly by picking a different category of job within the massive corporation, and Saimdang, which is gorgeous beyond imagination but seemingly lost a lot of viewers early on in needing to take more time establishing a rich storyline that doesn't fall apart thanks to the early attention). Gloria Mar 20 2017 6:18 am So many ridiculous scenes in this drama. What funny was, they are suspecting each other having terminal illness? Still confusing what is the writer actual to deliver the plots? I missed Ha Seo-jin as mean trash in "Drinking Solo" but I feel so sorry that he selected a wrong drama to act in this year, 2017. Queenie Mar 20 2017 5:47 am Another failed K-drama 2017 after "Missing Nine". The plot indicated a sad storylines but it 's totally opposite. The beginning episodes is most important to attract viewers but they totally failed to deliver it and I can tell, it is so ridiculous story. It isn't funny or comedian drama, you can't make fool to those freshman until they decided to commit suicide because of a job. What's wrong if someone failed 100 interviews if you don't give chance to hire them? They never indicate Eun Howon is stupid or drop-out but her just unlucky to secure a good permanent job. This drama didn't gives me a good feeling at the start and I don't know whether I continue to watch or not? sunset Mar 20 2017 12:07 am drama is good so far, but i think there's a part that makes me boring, the comedy part is not really funny n becomes flat instead. there is something missing in this drama. Holista Mar 19 2017 5:14 pm I like this show but I don't like if they included fatal disease on leading actress. Don't it be too cruel for a young girl like Eun Ho Won who struggle so hard to get a permanent job after falling so many jobs and make her decided to commit suicide and later found out she had terminal illness. How could this be a comedian show? I don't get it. Jan Mar 19 2017 4:28 pm How can I miss this drama? Ha Seok Jin is there. Seeing his mean and arrogant expressions already make me laugh. He's awesome! HannaYo Mar 18 2017 8:36 pm Waiting for the next episode. Interesting drama, love it! ? LoneGunMan Mar 17 2017 12:26 pm The shootout in episode 2 was absolutely one of the funniest scenes! Kudos to the writers who came up with that scene. Juu~ Mar 17 2017 4:53 am I watch this drama because go ah sung! Radiant Offuce fighting!! Go Ah Sung fighting!! Moonlight Traveller's Mar 16 2017 9:17 am Ep1 is nice, I like Ha Seok Jin. This drama is definitely worth to watch. Waiting for the next episode. FIGHTING??????. nerakeng Mar 16 2017 5:20 am I love Seok Jin. I will watch this no matter what the ratings are. wilson Mar 16 2017 1:08 am it's the drama good ? i watch cause han sun hwa ,seh so beautiful ? dibidibidis Mar 15 2017 11:31 pm I hope this is a good one. I am going to have to watch this when it has more episodes because it sounds good BUT the reason why I'm going to watch it is because of Jang Shin Young. I only heard of this drama because of her through "Guesthouse Daughters". Best of luck to this drama and the cast! Fighting! lala Mar 15 2017 3:39 pm the main dude reminds me of siwon!!!! Jhona Mar 13 2017 6:56 am The fact that Hoya is here, im gonna watch it for sure! ? Shya Mar 11 2017 11:57 am The trailers are very funny. I am definitely gonna watch this drama. Interesting synopsis. Lalalalala Mar 08 2017 8:22 am @Kano Zen Zen Zense is indeed playing in the background. Shya Feb 25 2017 11:35 pm Loved the teaser❤️❤️❤️ I am definitely going to watch this drama. Happy to see actress Ko Ah Sung after a long time. She will rock it. chungmuro Feb 21 2017 7:10 pm cant wait for this. Love go ah sung & ha suk jin. Me Feb 21 2017 3:37 am Lee Dong Hwi fighting!!!!!!!! DC Feb 17 2017 2:52 am Ko Ah Sung and Ha Suk Jin? Yaas! I'm definitely going to check this out. Love them both. Ade risky Jan 31 2017 1:05 am Hoya infinite ??? shya Jan 30 2017 10:12 pm Ko Ah Sung is one of the excellent child actress come lead actress now. I liked her acting in "Heard it through the grapevines" drama. What a bold character she played there. She made her fans awestruck with her acting. hok Jan 28 2017 10:43 am What is the genre of this drama ? If this a romance comedy please cast jeon so min !!!! I love their together so much ????? malfunctioning Jan 24 2017 10:02 pm @tirashine Park Shin hye is popular but talentwise, she'll eat dust compared to Go Ah-sung. tirashine Jan 24 2017 7:40 pm please cast Park Shin Hye or Moon Chae Won become its main character. one of them is better to be the main character in comparison Ko Ah-sung. Sorry! bibi Jan 23 2017 4:02 am This has the potential to be exceptional. Go Ah Sung can certainly nail this type of role. She should accept it. Unconventional Jan 23 2017 3:51 am Go ah sung is a phenomenal actress.